2-3/4" length, 2" wide, 2-1/2" tall. This pump operates at 175 gph. 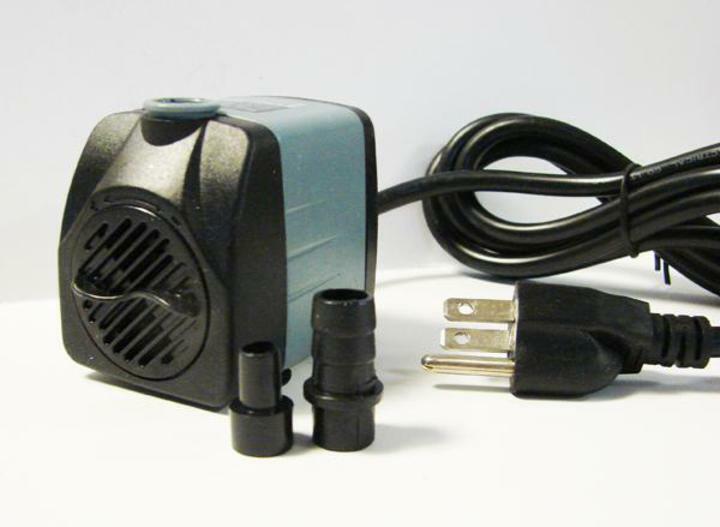 Power cord length: 6' with 3 prongs for indoor or outdoor use.